Gone are the days when having a dedicated app for your business was considered a luxury. Today, the situation is completely different, as your app has to compete against 7 million other apps. Yes, you read that right. As a business, you want your app to stand out so it gets as many downloads and installs as possible. This is where app store optimization comes into play. Professional mobile app development companies not only help you create an app, they also let you attract some eyeballs on the app store. 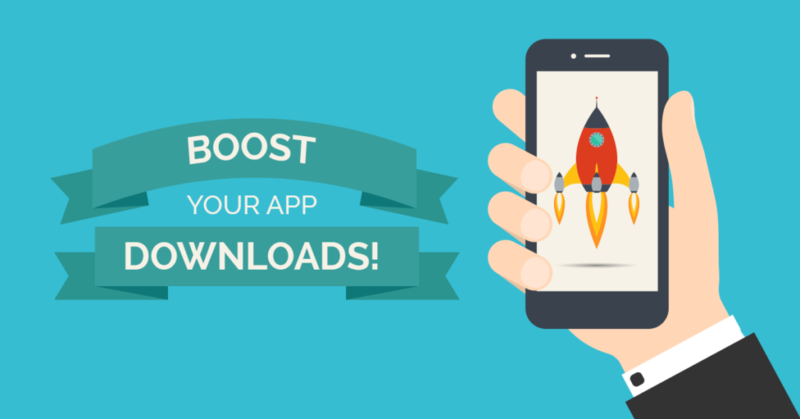 Here are some of the best app store optimization tips that can skyrocket the number of app downloads for your application. “What’s in a name? That which we call a rose by any other name would smell as sweet.” This quote by William Shakespeare’s Romeo and Juliet might sound all romanticized and idealistic, it does not hold true when it comes to mobile apps. In fact, not only does your app name influence its rankings on the app store, but also its durability and format. Choose a short and sweet sounding name for your app so that it does not exceed the character limits set by the respective app stores. This allows you to add keywords after the name, which makes it easier for users to find your app and clearly show them what your app is all about. Some of the best examples in this regard are Google Maps-GPS Navigation, eBay-Buy, Sell-Find Deals and Pandora-Free Music and Radio. The Metadata of your app, such as app subtitles, app descriptions, and app keywords, play a crucial role in determining your visibility on app stores. According to StoreMaven, only 2% of iOS users and 5% of Android users actually read beyond the “Read More” button in your app’s short description. This means that you have to make every character count and make a lasting impression in the first couple of sentences. Try to make it as concise and attention-grabbing as possible. Use bullet points for longer descriptions and highlight the unique features of your mobile app. Never forget to mention all the awards and honorable mentions that your app has garnered. Make sure that the comprehensive version of your app description is just the right length. It should be more than 500 characters but less than 3000 characters. Your app users want to take a sneak peek at how your app looks and performs. Although you can’t grant them their wish, you can at least give them a preview through screenshots and show your app in action with an app preview video to pique their interest. All this goes a long way towards boosting the number of app downloads and installs. Make sure that your video focuses on important features and hooks the reader in the first few seconds of the video. For iOS app developers, Spotlight Search offers an opportunity to engage existing users frequently. Another nifty feature that both Android and iOS developers can take advantage of is Google’s Firebase app indexing. It allows users to search for all dynamic content in your app. This can come in handy, especially if you have a content-rich app, as you can maximize your reach through the use of these app indexing features. Your app ratings have the power to make or break your app reputation. Studies have shown that a rating of 4 stars or higher can help you get more installs. Unfortunately, businesses do not have much control over these ratings. This means that there is no one-formula-fits-all for garnering a five-star rating. Luckily, there are aspects of your control that can help you get better ratings. Work on improving the user experience of your app and make it easier for users to perform desired operations, which will eventually translate into higher ratings for your app. Believe it or not, studies have found a link between an app update frequency and its ratings. This means that the more frequently you update your app, the better chance it has of ranking higher over the rating front. Fixing app crashes, bugs and errors through app updates go a long way towards delivering a much better user experience, which guarantees a boost in rankings. Make sure to incorporate a suite of useful features in your app every time you refurbish it. Most top apps are updated every couple of weeks. Use push notifications to alert your existing users about the new updates. There are two types of apps: Free and paid. Even if your app development timeline is long, you should plan to monetize it. Make sure to price it optimally. You can value your app anywhere between $0.99 and $2.99, so as not to deter users while ensuring a lucrative venture. Ensure that your app is replete with valuable features that actually coax users into paying your price. Setting an exorbitant price-tag can prove to be disastrous as users might be detracted by the high prices and steer clear of your app. With a proliferation of devices out there, businesses are striving to make their app compatible with a wide array of devices. Be it smartwatches, smart TVs or smart homes, your app should be compatible with all the other systems in its vicinity or those it is destined to align with. The more platforms and devices your app supports, the brighter its chances are of basking in the limelight. Which app store optimization techniques do you use to boost your app rankings? Feel free to share them with us in the comments section below. Irfan Ahmed Khan is a digital marketing expert and a blogger. He is a passionate digital strategist. Currently, associated with Digital Marketing Agency. He has worked with various other brands and created value for them.